Grofer is a well known online store which offers extensive variety of grocery products. Headquartered in Gurgaon this online grocery store operates in more than 26 cities. Grofer offers its customers grocery, bakery, fresh food items, fruits, vegetables, cake, flowers, baby care, personal care and other gift items which may include your gadgets, make up items and more. There is no such product you don’t get here in short words we can say grofer is all in one roof which gives you chance to enjoy comfortable shopping sitting at your home, now you don’t have to stand anymore in the long queues for buy your grocery. Grofer which started few years is already a big name in market. From grocery items to makeup it offers large discounts and make you save big. Grofers mobile application will notify you about the daily deals and will let you grab a chance to save on your items. Enjoy extra Rs.150 super cash when payment is made through Mobikwik Wallet. To grab this offer apply given coupon code at the time of final payment. This offer cannot be combined or clubbed with any other offer. Enjoy the offer before it ends. This offer is available for limited period only. Hurry!! Save up to 37% off on pooja need products which includes all pooja products like agarbati, dhoop, kalash, diya and more without any coupon or promo code. This offer cannot be combined or clubbed with any other offer. Enjoy the offer before it ends. Hurry to grab the offer. Enjoy 19% off on Aashirvaad Shudh Chakki Whole Wheat Atta 10kg pack without any coupon code. Save money by getting it at just Rs. 268 instead of Rs. 330. This offer cannot be combined or clubbed with any other offer. Enjoy the offer before it ends. Enjoy up to 60% discount on order of different Grocery and Staples products like olive oil, ghee, salt, sugar etc. To enjoy this offer no coupon code is required at the time of checkout. Enjoy the offer before it ends and save money. Put an order now of dish wash products like dish wash bar, dish wash gel, steel scrubber etc and enjoy up to of 20% discount on it. To avail this offer no coupon code is required. Check out the landing page for more information. Get the offer before it expires. Now get 5 kg sugar free on your minimum purchase of Rs.999. Use the Grofers coupon code at the checkout page to avail the offer. Offer is valid for purchase from Grofers online store only. 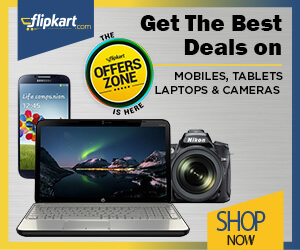 Explore offer page for more deals and grab them fast. Shop online now and save up to 83% off on different beverages products tea, coffee, juices, cold drinks and more without any coupon code. The discount available on beverages may differ from product to product. Enjoy the offer before it ends and save money. Put an order now of Fruits and vegetables like apples, kiwi, pomegranate, cabbage, green capsicum, beans etc and enjoy up to 23% discount on them. To avail this offer no coupon code is required. Check out the landing page for more information. Get the offer before it expires. Shop grocery and more from Grofers and get 20% cashback in your wallets. Use the given code at checkout page to avail the discount. Visit promo page for exclusive deals and buy items at best discounted prices. Now get up to 80% off on summer essentials and save more with Grofers online store. Shop for items such as Glasses, Bowls, Bath Towels, Hand Towels, Jugs, Ice Trays, Bottles, Sprout Maker, Buckets, Mug Sets and lot more to discover. Grab these online products without any coupon code and enjoy! Shop online and save up to 70% off on different home and kitchen appliances without any coupon code. The discount available on appliances may differ from product to product. Enjoy the offer before it ends and save money. Limited period offer. Save more with exclusive membership. To be a Smart Bachat Club member and enjoy shopping at wholesale prices, just add a membership plan to your cart. There is no limit to the number of order that you can place on the Grofers platform. Smart Bachat Club membership can be bought for a period of 1 month, 6 months, and 12 months. Membership expires at midnight on the last day of your membership period. Order online and get 47% off when you buy Dinewall Pailsy Round Printed Melanium 18 pcs dinner set. No coupon code required. This box contents 4 pcs dinner plate, 4 pcs small plate, 4 pcs veg bowl, 2 pcs donga, 2 pcs donga lid, and 2 pcs serving spoon. Grab the deal to redeem this offer. Put an order now of personal care products like face wash, Sunscreen lotion, Shower gel, Shampoo etc and enjoy a minimum of 20% discount on it. To avail this offer no coupon code is required. Check out the landing page for more information. Get the offer before it expires. Save up to 47% off on cookware which includes induction kadai, pan, multi deluxe tawa, steamer and more without any coupon or promo code. This offer cannot be combined or clubbed with any other offer. Enjoy the offer before it ends. Hurry to grab the offer. Shop with grofers and get all food items at best prices for all users. Grab up to 25% off on chocolates, namkeens, snacks, biscuits and lot more. Apply coupon code and get 20% cashback .The offer is applicable for all the new users. Enjoy the yummy treat! Enjoy up to 74% discount on order of different storage & containers products like Salt Sprinkler, Lunch boxes, Vacuum flask, Container set etc. To enjoy this offer no coupon code is required at the time of checkout. Enjoy the offer before it ends and save money. Get flat 15% off paying through axis credits and debits cards on Grocery, Household products, Personal care range, beverages, biscuits, snacks and more. The offer is applicable on every Wednesdays. You can avail the maximum discount is Rs.300. The minimum order value is Rs.1500. Spend minimum Rs.1500 and get flat Rs.75 cashback on mid-month sale. Use the given coupon code at the time of checkout. Offer is valid on 15th to 18th of every month. Order online and get Rs.250 discount when you transact minimum Rs.1500. To avail this offer use the given coupon code at final payment. Enjoy the deal before it ends. Pay via Paytm wallet and get up to Rs.200 cashback. You may get Rs.100 cashback each on two transactions. Cashback will be credited to Paytm wallet within 24 hours. Grofers is giving you House Full Sal. Buy 2 products and get one free. Choose from the categories men's Deo, Women's Deo, and Perfumes shown on the offer page. Enjoy the deal before it ends. Now buy home needs and furnishings online under Rs.599. You may choose from the categories bedsheets, curtains, hand towels, face towels, pillow fillers, bean bags, wall stickers, and many more shown on the deal page. Don't miss out. Order from Big Brands Fest and avail up to Rs.300 cashback. Minimum Order of Rs.1200 is required. Grab the given promo code to redeem this offer. Offer is valid for a limited period. Buy now and get flat Rs.100 on online order. Minimum order of Rs.1500 is required to avail this offer. Coupon code is available to enjoy the deal. Don't miss this deal. Shop for Rs.2500 or more and get 5% direct discount. Maximum discount of Rs.150 can be availed. Coupon code is also available to avail this offer. Check out the promo page for more details. My Vishal is giving a special offer for SBI Card users. Get an additional 10% off on your next purchase. Use the given coupon code at the time of checkout. Free shipping is also available. Offer is valid on payment done via SBI Debit card or credit card. Order stationery items online and enjoy up to 21% discount on them which includes pen, notebooks, watercolor, pencils, erasers, lunch boxes etc. To enjoy this offer no coupon code is needed. This offer cannot be combined or clubbed with any other offer. Enjoy the offer. Enjoy flat 50% off on kids’ fashion. For more exciting deals and offers have a look on promo page. No coupon code required. Online store for all your household needs : Based out of Gurgaon, this online concept was founded in 2013 by Albinder Dhindsa and Saurabh Kumar. The online app based grocery brand is owned and managed by Grofers India Private Limited and serves across several cities in the country. It is the one-stop shop for every household requirement right from fresh fruits and vegetables, groceries, bakery, cosmetics, personal care, etc. You can download this app on your phone if you are in Delhi, Gurgaon, Mumbai, Bangalore, Kolkata, Noida, Pune, Ahmedabad, Chennai, Hyderabad, Jaipur, Surat, Chandigarh, Agra, Indore, Nagpur, Ludhiana, Vadodara, etc. With this brand, you need not go to any store for any of your household needs. You can pick from a wide assortment of brands and buy what you love from more than 5000 productsand this is what makes it the one stop shopping destination for you along with online grocery delivery. Here is a quick list of all that you can buy from here. Fresh fruits and vegetables, sprouts, herbs, organic products, etc. Grocery and staples, spices, edible oils, dry fruits and nuts, etc. Beverages that include cold drinks, juices, health and energy drinks, tea and coffee, etc. Home and kitchen tools, accessories, dining table requirements, etc. Personal care includes bath and body, skin care, oral care, deodorant, perfumes, hair care, etc. Breakfast and dairy, helps you with milk and milk products, dairy, breads, eggs, etc. Sauces, jams, conserves, condiments, spreads, etc. Household needs like detergent, cleaners, cleaning tools and equipment, etc. Shopping for all that you need from this platform also helps you save money. Apart from competitively priced products, you also get many offers that lead to monthly savings. Every user can get discounts up to 20% through the Grofers app offer. If you have just downloaded the app you can also get up to Rs. 100 of on your first app order. Paying with digital wallets like Mobikwik or Paytm also lets you earn cashbacks up to 10% on your total bill. Look for discount coupons on Savio Plus and use these codes at the time of checking out to save on your final bill. Ordering all your household essentials on this online app has many more advantages than simply saving time and money. It also helps you to save on your monthly grocery bills with Grofers cashback offers. This is how you do it. Grofers cash – You have this special wallet that you can load and use it to buy whatever you want from this store. It is a free service plus all your cashbacks are conveniently credited to this account that you can use for future purchases. Track your order – The app has a user-friendly order tracking option that updates you on your order status. You can find out how your order is being processed and when you can expect it at your doorstep. Numerous payment methods – You can pay through various modes when you shop here. Net banking, mobile wallets, credit and debit cards, Grofers cash and even cash on delivery are your choices for paying even if you use Grofers coupons. Uncomplicated return policy – You can easily return a product you are not happy with within 24 hours of delivery for all perishable items and 48 hours for non-perishable products. Easy refunds – If you return a product you can get easy refunds directly to the account you have used to pay within 7-10 working days if the amount is more than Rs. 500 and to the Grofers cash account if it is less than that. Online cancellation – You can also cancel your order online through the app or from the website before it has been dispatched. You can also manage other aspects of your order from the ‘My Order’ section. Efficient customer care – You can refer to skilled and efficient customer care executives from the ‘Contact Us’ section for all your problems and expect them to be resolved in minimum time. You can run your household in a stress-free and hassle free manner by ordering everything you need from here. This unique app not only helps you save time and money but also gets you the high-quality products of different kinds so that you get your money’s worth. Don’t forget to check out every Grofers offer that comes your way today for maximum savings.